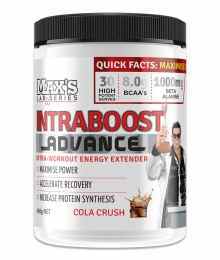 Intra-workout supplements are beneficial during intense workouts to replenish energy stores that have been depleted. It is also an optimal time to take amino acids like BCAA as the muscle is receptive to nutrients and can help speed up recovery. Intra workouts need to be able to be quickly digested to avoid mechanical digestion where blood needs to be diverted from your muscle to help with digestion.